The sacred Spanish-language hymns known as alabados originated in colonial New Spain in the eighteenth century. 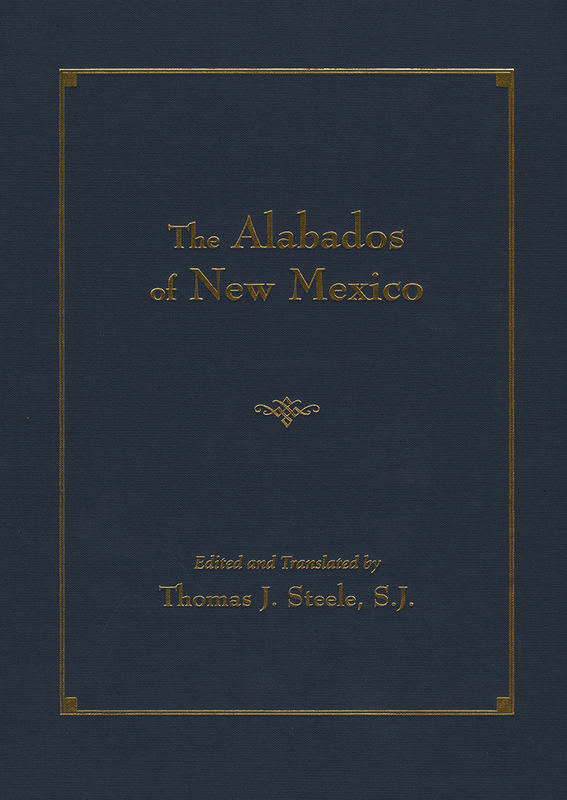 The Alabados of New Mexico includes a selection of the most beloved and most often sung hymns, in English and Spanish, as well as a basic explanation of the alabado. Introductory material discusses the sources of alabados and the form's origin in late medieval spirituality. Thomas Steele defines terms and discusses the alabado as poetry, music, and oral tradition. The 126 bilingual alabados are organized by theme, including the Christ child and holy family, passion narratives, sacraments, and prayers, etc. Steele includes complete texts and extensive commentaries. He has devoted decades to collecting and studying New Mexico's alabados and his annotations are enriched by his access to many versions of each hymn. "The newly-ordained Franciscan friar Antonio Margil de Jesús (1657-1726) sailed from Spain to Vera Cruz in 1683 and threw himself into every possible sort of activity for the conversion and sanctification of anyone who would listen, and he especially made a practice of teaching Catholic doctrine in the form of prayer-songs and hymns praising the heavenly personages. "The alabados sung in New Mexico . . . form a literary tradition that resembles oral tradition so that it can more effectively convey Roman Catholic doctrine to the population of New Spain. Such persons were for the most part unsophisticated subsistence farmers and small-scale stockmen some of whose ancestors had converted only a few generations earlier from tribal religions to Christianity." Thomas J. Steele, S.J., is the author of many previous books on New Mexico art, literature, and religion. He lives in Albuquerque.